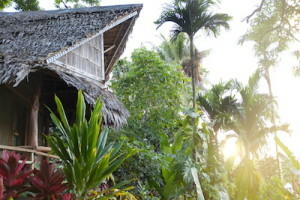 Yap's only traditionally inspired hotel, Oceania consists of eight individual and unique huts that sit nestled into the tropical landscape. Modern amenities go hand and hand with local building traditions and materials. 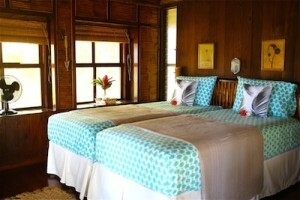 Each cottage features a private veranda, ceiling fans and air conditioning, refrigerator and hot water. Housekeeping service is provided daily as well as laundry service. Wireless internet is also available anywhere in the hotel, which is provided by FSM Telecommunications. 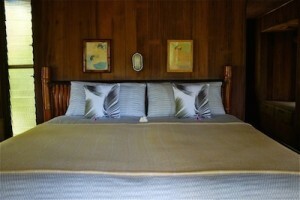 Each room is appointed with organic cotton bedding, ceiling fans, and air conditioning to ensure a comfortable stay. Our rooms feature a king-sized bed, which can be converted to two twin beds upon request. Enjoy your own private outdoor deck that overlooks Chamorro Bay, known locally as the Blue Lagoon. 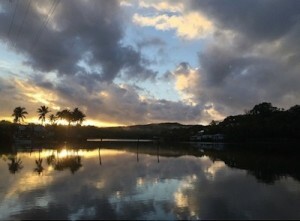 Located in the village of Worwoo, Rull, Oceania is a mere 10 minutes drive from the airport and conveniently located near Colonia, but our unique property feels secluded. Roundtrip airport transfers and complimentary Wifi are available for guests.